NBfC’s very own Todd Wolynn recently gave a compelling presentation on the history and importance of breastfeeding. 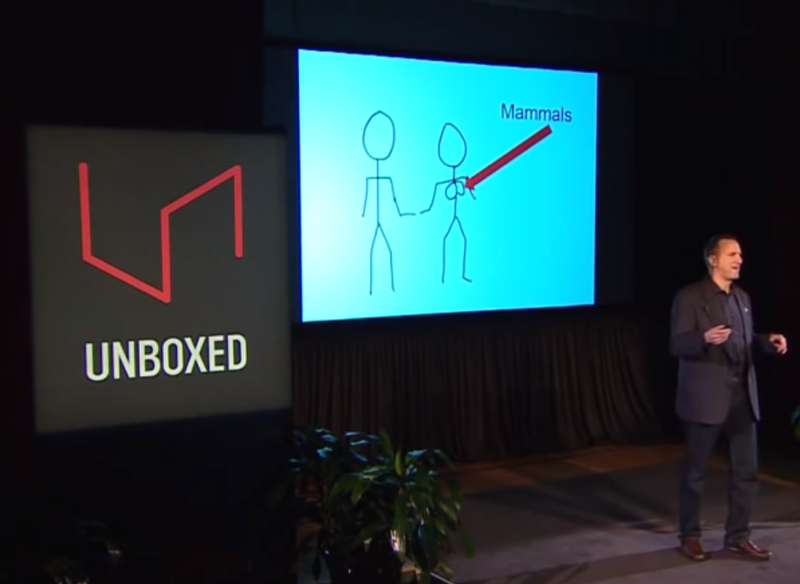 This enlightening and engaging talk ends with a call to action for the future. If the applause from the audience is any indicator, change is coming but there is still work to be done. Todd takes us back 250 thousand years to a time when the dinosaurs became extinct and “warm-blooded creatures who gave birth to live young and nursed their young with milk” became the dominant species. For 250 thousand years, humans “were literally grown on this stuff. 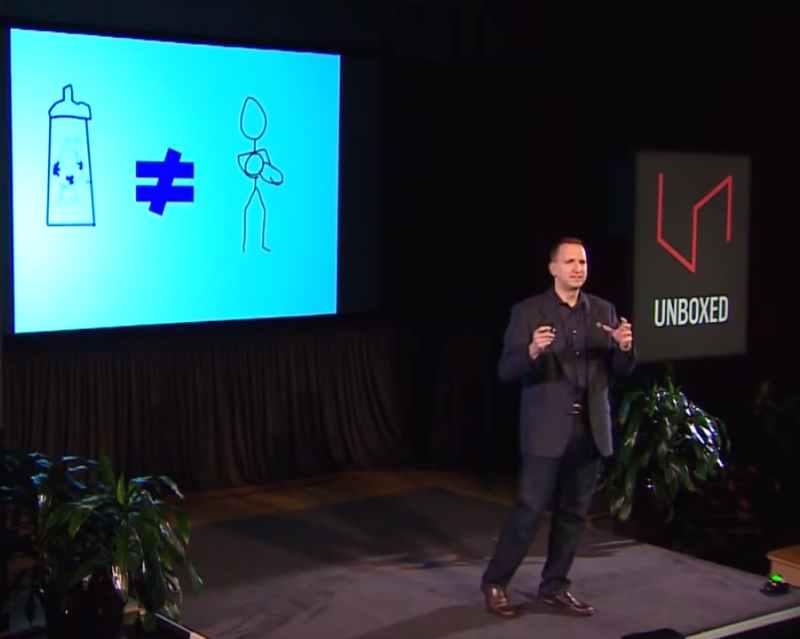 It nourished our life force.” Todd goes on to ask what could possibly change such a perfect system? In the 1900s, big business got the idea to take breast milk from one species and feed it to another. Suddenly, cows milk becomes known simply as “milk” and the move away from drinking our own milk began. Baby formula was only a few steps behind. Dr. Wolynn makes it clear that he is not trying to “demonize cows” or “bash formula”. He recognizes that formula can indeed be medically necessary in some cases. He points out that doctors study for 8 to 9 years in Medical School. Countless hours, even entire courses, are dedicated to learning about another precious human fluid: blood. 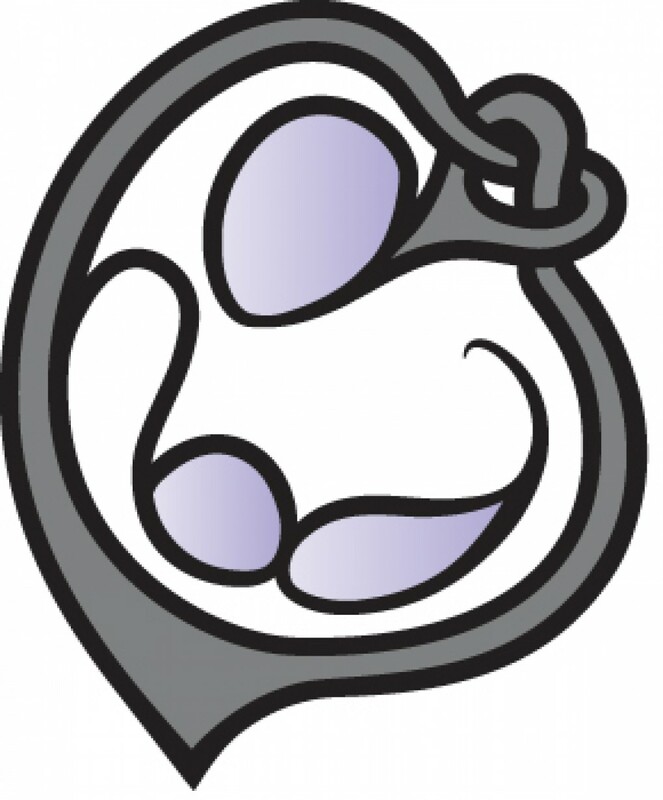 How many hours are dedicated to breastfeeding education? 2 hours or less. Compare that with the amount of time that doctors are directly or indirectly faced with positive marketing messages from the formula industry. A recent survey shows that 40% of physicians think breast milk and formula are equivalent. They’re not. Formula may have the most basic building blocks of breast milk: fats, sugars, and proteins, but it doesn’t have these: antimicrobial factors, growth factors, cytokines and anti-inflammatory factors, digestive enzymes, hormones and transporters. Many of these components simply cannot be made outside of the human body. 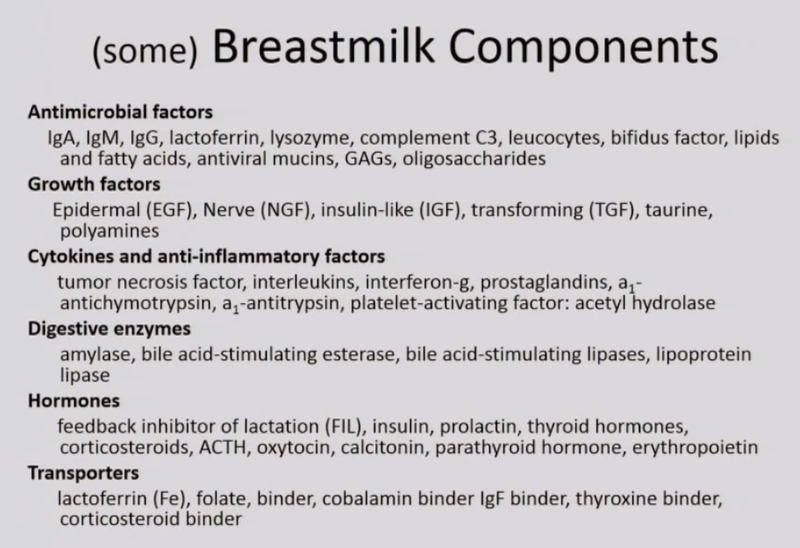 Just some of the components of breast milk, with more being discovered each year. With nothing to stop the marketing machine of formula, breastfeeding rates dropped dramatically. By 1971 only 1 in 5 women even attempted to breastfeed, resulting in striking feeding changes in our society. The US formula market is valued at $4 billion dollars. New mothers are flooded with freebies, samples and special offers to entice them into using formula. The motive is clear: every baby who doesn’t breastfeed is a potential formula customer. If it all comes down to economics in the end, Wolynn expertly argues that breasts make more money than formula, “thanks to what comes out of them.” He’s not talking about milk here; he’s talking about savings. A recent report from the federal government shows employers that every $1 spent on comprehensive breastfeeding support programs results in a $3 savings. That’s a huge return on investment! That’s just in the workplace; the savings for us as a nation are even greater. A recent Harvard study shows that if 90% of women in the US exclusively breastfed for the first 6 months, we as a nation would recognize 3 billion in savings. 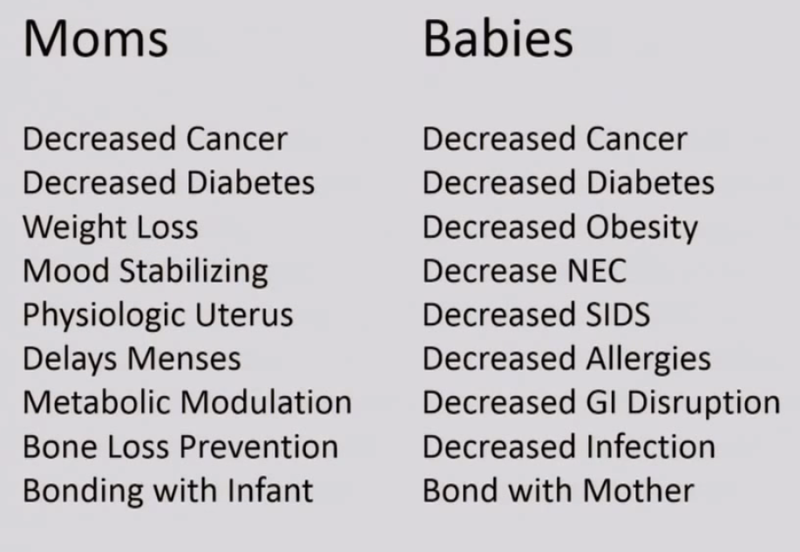 With breastfeeding, the risk of these diseases goes down; with formula feeding, they go up. When Dr. Wolynn was in Medical School they didn’t know the risks of not breastfeeding, but we do now. Now is the time for action. Now is the time for change. We need to demand that the healthcare services, support, equipment and donor milk are covered health benefits. Consider the strong case for 3-6 months paid maternity leave. Dr. Todd Wolynn (MD, MMM, IBCLC) is the CEO of the National Breastfeeding Center and the President of Kids Plus Pediatrics. He has been named one of America’s Top Doctors by US News & World Report. Growing and developing pediatric and breastfeeding medicine services into national models has been a key accomplishment for him. Dr. Wolynn advises and presents nationally on a range of topics and is regularly acknowledged for his powerful, engaging and effective communication.